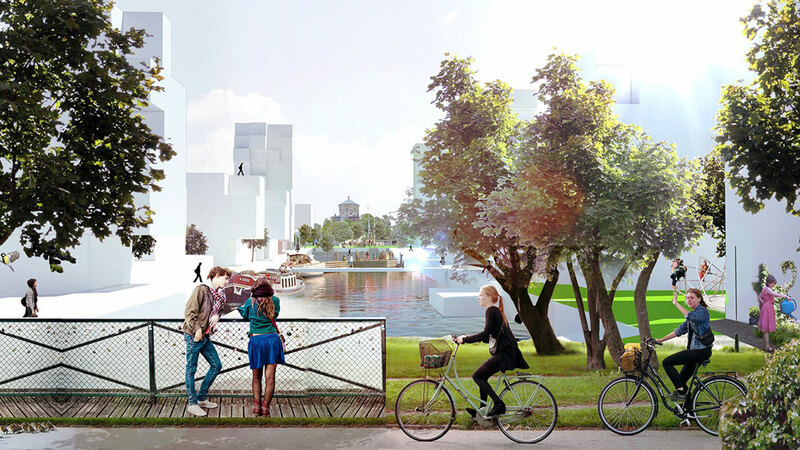 In response to challenges such as social exclusion, climate change, and an evolving economy, the RiverCity offers exciting new opportunities to create an inclusive, attractive and sustainable area in central Gothenburg. The old port and industrial areas will make place for new residential areas and working places up to a total building area of 5 million m2 and will be designed in a way that connects the whole city, embraces the water and reinforces the regional centre. In spring 2014, Ramboll was selected as lead consultant for a feasibility study of the Gullbergsvass district with Eric Giudice Architects and Liljewall Architects as sub-consultants. In Gullbergsvass, which is currently dominated by infrastructure and logistics facilities, there is room for around 1.5 million m2 of residential area with capacity for up to 22,000 new residents and up to 24,000 jobs. The district will be reinforced with a mix of uses, which both builds on the local qualities of the neighbourhood as well as a new, large park. The area will be well connected with surrounding districts and integrated more effectively with the water through new walking paths along the river. The feasibility study forms a basis for discussion with citizens and stakeholders, which will shape the future direction of development in the area. Ramboll has provided landscaping, technical engineering, traffic and mobility planning and competences for energy and sustainability discussions in conjunction with officials from the local authorities. The study was presented in March 2015 and marks the beginning of a long planning period with the goal of completing this part of the city by 2050. RiverCity Gothenburg will be open to the world. It will be inclusive, green and dynamic. Read more about the vision for RiverCity Gothenburg. The official report for the Gullbergsvass project. Read the full report here (in Swedish). Watch the video from the Gullbergsvass public consultation (in Swedish).